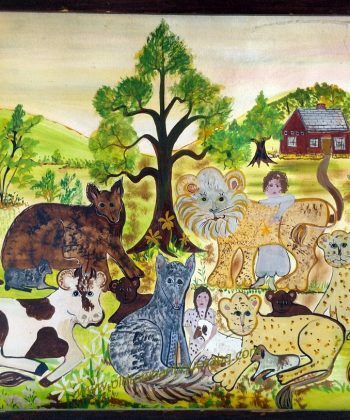 A charming original painting on paper by Barbara Strawser. 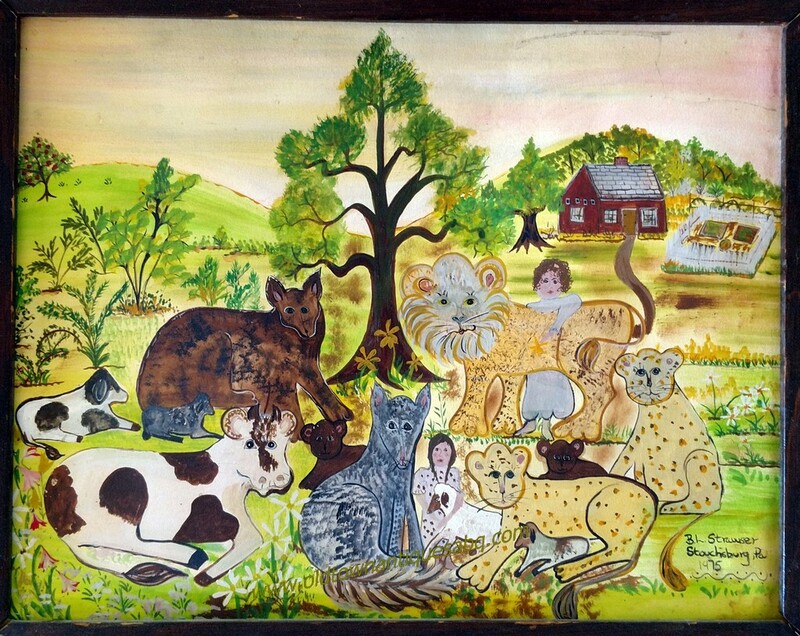 This is a “Peaceable Kingdom” scene in water colors (perhaps gouache) on paper. Currently in a painted wood frame, the visible area of the painting as framed, is 11 3/4″ x 15.” In very good old condition.